A leading journalism training college has delivered a 6-page submission opposing changes to the Freedom of Information Act. 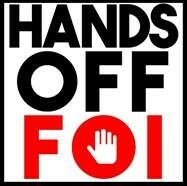 The Government has appointed a commission made up mainly of opponents of FoI to look at watering-down the legislation. But Sheffield University has submitted a body of evidence to the Commission setting out how it has been used by students and journalists, and strongly opposing the introduction of charges for FoI requests. It follows the launch of the Society of Editors’ HandsOffFoi campaign with the backing of HoldtheFrontPage and Press Gazette. The submission from Sheffield’s department of journalism studies was written by former Press Association editor, Professor Jonathan Grun together with Tony Harcup, Mark Hanna and David Holmes. It accused the Commission of taking a “one-sided approach” with the questions set out in its call for evidence, which included asking whether the “burden” which Foi places on public authorities was justified by the public’s right to know. The Sheffield submission states: “The question itself is one-sided in talking only – and repeatedly – of ‘burdens’. The Commission does not appear to have called for evidence of public “benefits” brought about by use of the Act. “Even if the public good is restricted to benefits that can be expressed in monetary terms, how much money might those using FOI have already helped save public authorities by uncovering incompetence and wrongdoing, by encouraging the tightening up of procedures, or by acting as a deterrent to wrongdoing? The amount of money saved is probably incalculable. “Within the journalism industry FoI has been used effectively by journalists working for news organisations that have no budget for investigative journalism. They have been able to use freedom of information to explore important issues and bring them to public attention precisely because there was no fee for making an FOI request. “If journalists working for mainstream news organisations are likely to be inhibited from using FOI by the introduction of charges, it is even more likely that those people producing local and “hyperlocal” news services online will be priced out of making FOI requests. Citing the hundreds of stories listed in HTFP’s Freedom of Information section, it asks which of them should be regarded as a “misuse” of the Act. This campaign should be backed by hundreds of thousands of people by now. Apart from being a just and noble cause, it is opposed by every media outlet in the land – but most just appear to be paying lip-service to the crusade rather than trying to lead the charge. What’s wrong with you people? Not even every journo has signed it yet which is a bloody disgrace. This should be ‘trending’ in the Twittersphere and every other social media route. Send it to your contacts/followers/friends and tell them to spend two minutes – if that – and sign the petition. .